Is time to get cooking and learn how to Eat Better, Feel Better! Host a Food Revolution themed charity dinner party and let us cook a healthy and wholesome meal for you and your friends. We will be using the freshest of local produce and also sharing with you cooking skills and food knowledge. Food Revolution is all about cooking from scratch and inspiring people of all ages to get cooking! 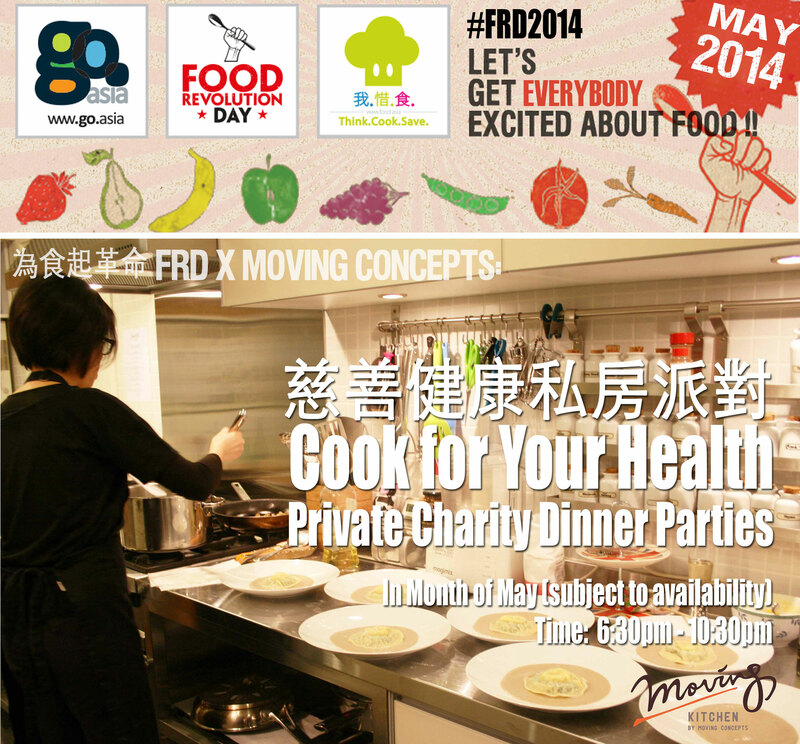 Join us and let’s all cook and eat our way to good health! Moving Concepts is a social enterprise that aims to collaborate with various individuals, groups and organizations, arranging themed events with contributions donated to selected charities and non-profit organisation. Our team is constantly on the go in search of fun ideas, create opportunities to connect people and inspire them to give back to the community. We believe that a simple act of kindness can make a world of difference. Working with FRD, Moving Concepts will be featuring one of its projects, Moving Kitchen. Moving Kitchen is set to inspire like-minded individuals who enjoys cooking, dining with great friends and giving back to the community. Our team roams around, cooks at any available kitchens and works with you to create themed dinner parties. We want to create social awareness among our hosts and guests that doing a good cause can be a very simple act. The Moving Kitchen allows diners to enjoy great food, great company and great talks while giving them a way to support various social causes and beliefs. All guests will pay a set menu fee and after deduction of food costs, proceeds will go directly to the charity chosen by the host. Be a host. 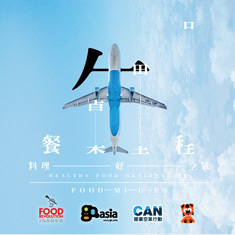 Book a date for a charity dinner. Take part in this movement.